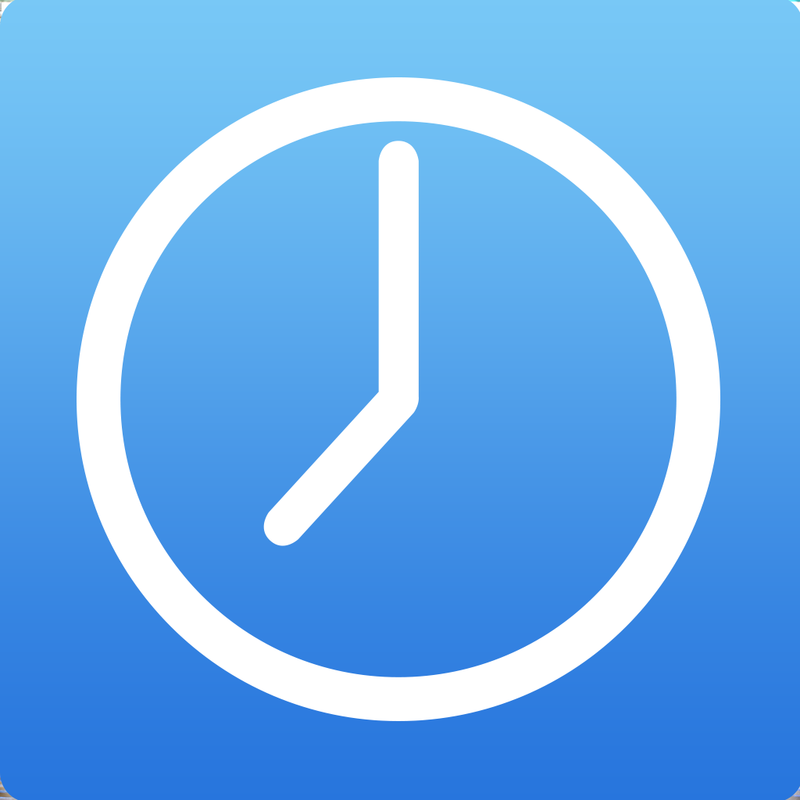 Hours Time Tracking ($4.99) by Tapity, Inc. makes it incredibly easy to keep track of your time. Why would you want to keep track of this? Perhaps you are a freelancer working on multiple projects for clients, or you own a business and want to make sure that your managing everyone and everything efficiently, or maybe you just want to see what exactly you do during the entire day. 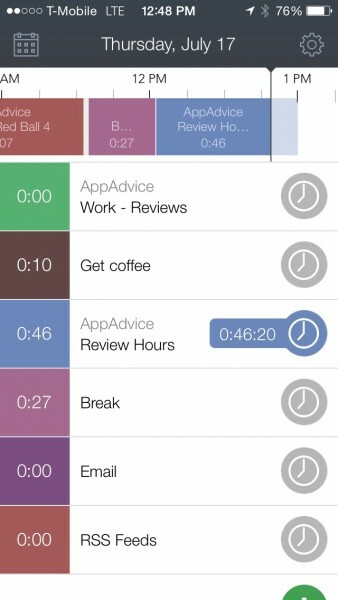 Regardless of the situation, Hours Time Tracking is the app you want to keep tabs on your time. While my job here at AppAdvice isn’t exactly based on hours, I still like to know how much time I spend working or goofing off. We only get 24 hours a day — why wouldn’t I want to know where all my time went? I never really thought about it prior to Hours, but now that I have it, the app is definitely proving to be something I’ll be keeping around in my daily arsenal of apps. 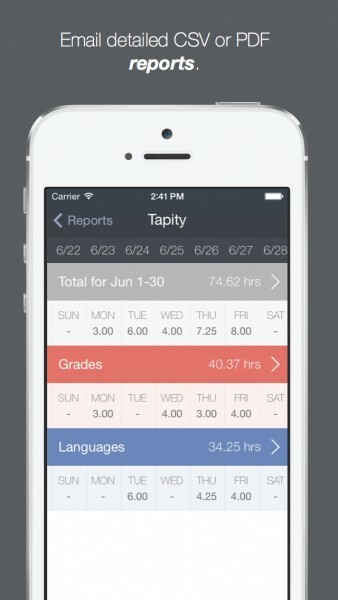 For those who don’t already know, Tapity is the developer studio behind another great productivity app, Grades 3. While Grades originally came out in my final year of college, I used it for my remaining time in school, and it was an absolute joy to use. 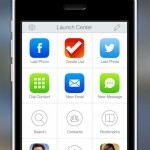 So when I heard that they were coming out with a new productivity app, I was excited for its arrival in the App Store. 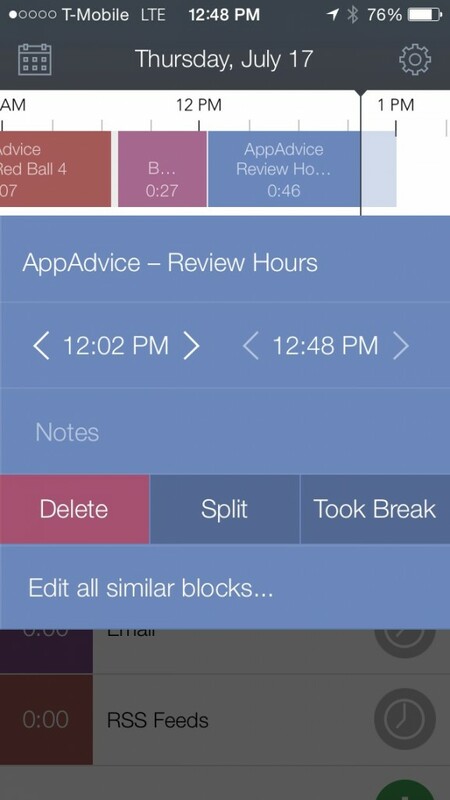 Hours Time Tracking features a gorgeous, minimalistic design that makes it quite user-friendly and intuitive to use. I may not have a lot of experience with other time trackers, but I love how simple this one is. The dark color scheme and rich colors used for the timers are beautiful, and the light iconography and typeface are delightful. The main screen is a day view, where you get a timeline of the entire day, and you can add as many timers as necessary. To add a new timer, just tap on the “+” button, and you get the “New Timer” screen. A timer will consist of the project name, and optional client and task information. Then, you can choose a color to assign to it for easy recognition in the timeline. Currently, there are only 16 colors available — I would like to see more added in the future, or at least give users the ability to create their own custom colors with a color wheel. 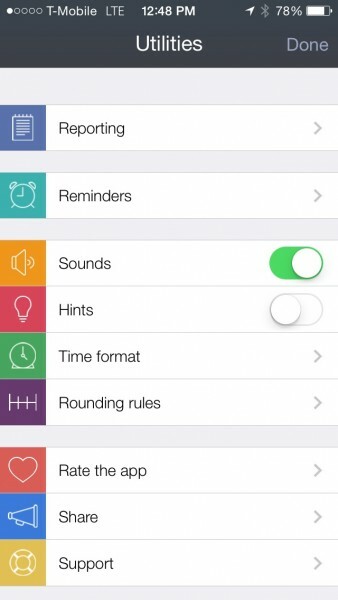 Once you start having several timers planned out, you can activate any of them with a tap of the clock. If you tap on the text itself, it will bring up the Edit Timer screen. When you’re done with a task, just tap on the clock again to stop the timer. You can also swipe on a timer to archive it if you no longer need it, but the task still shows up in the timeline when you did use it. As you use different timers throughout the day, these tasks will show up as blocks in the timeline at the top of the screen. I found it fun to scroll back and see what exactly my day was composed of. 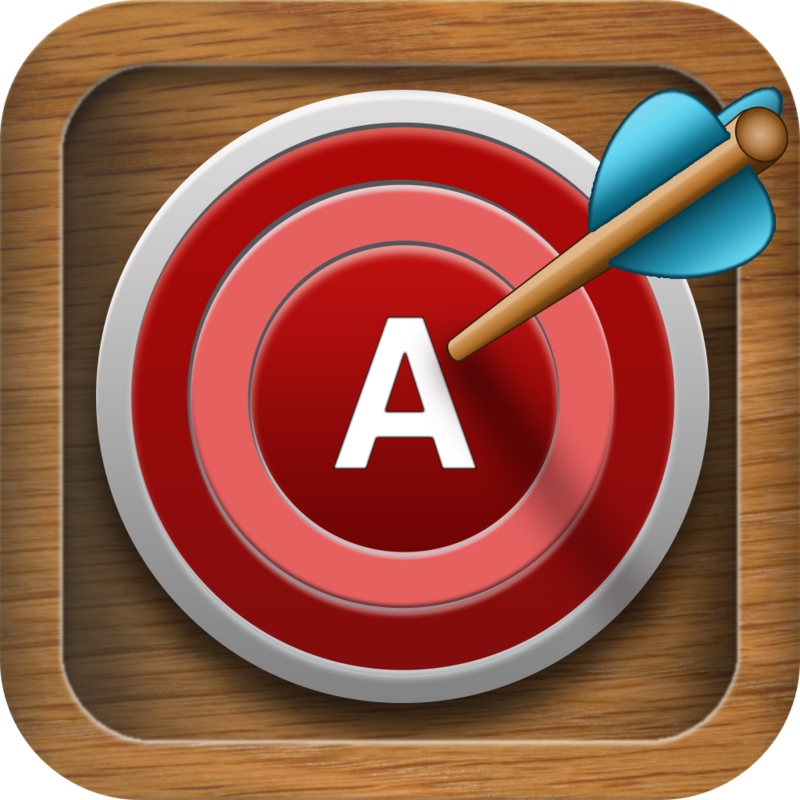 Tapping on a block will bring up a pop-up box, where you can actually edit the time (in case you forgot to turn it on or off, or even cancel a split or break), add some notes, split it into equal blocks, or add a break in. 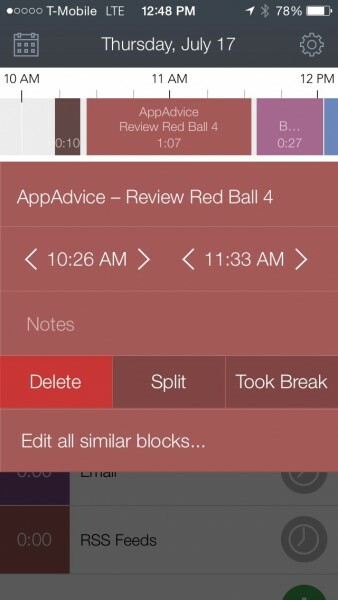 If there are similar blocks (such as when you split), you can also edit them all at once. 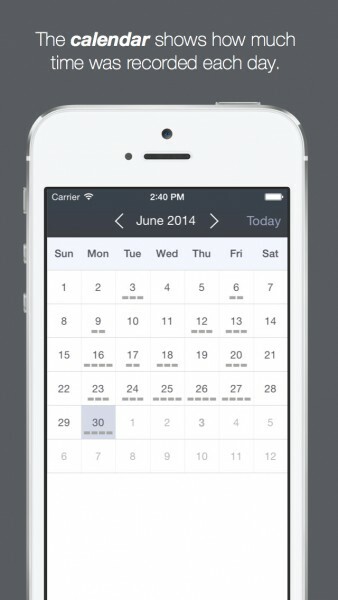 If you tap on the calendar icon in the top left, it will bring up a monthly calendar view that you can scroll through. 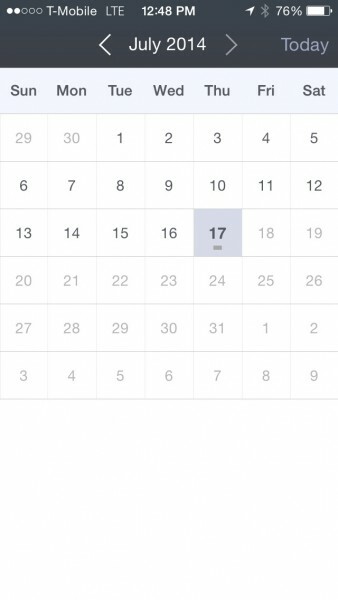 Days that you used Hours will be marked with a bold dash underneath the date, and you can jump to any day by tapping on it. Return to the current day by tapping “Today” on the calendar. 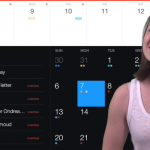 Now, what good is a time tracker if you can’t get a weekly report? Fortunately, Hours does have reports available, which are accessed from the settings screen (gear icon). By default, reports are generated weekly, but you can get reports for a custom period, past 30 days, monthly, yearly, and even all time. 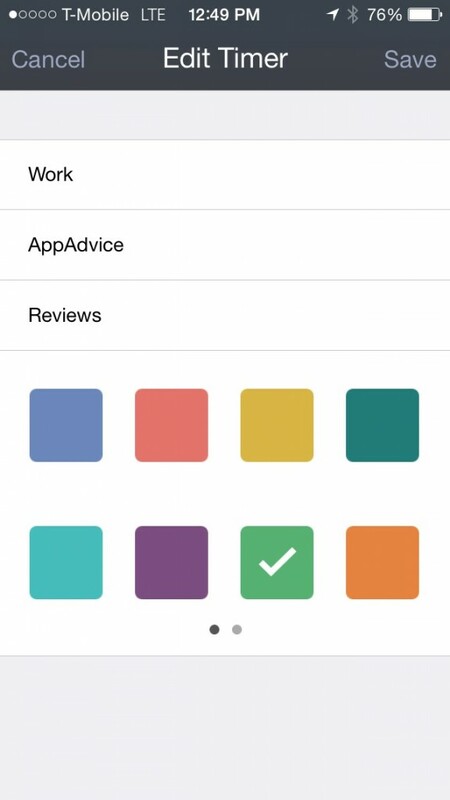 The number of options available for reports makes the app incredibly flexible for anyone, regardless of what they’re using the app for. To top it off, your generated reports can be emailed as detailed CSV or PDF files. Hours Time Tracker may be a good app for keeping track of your time, but the problem will be remembering to launch it often. 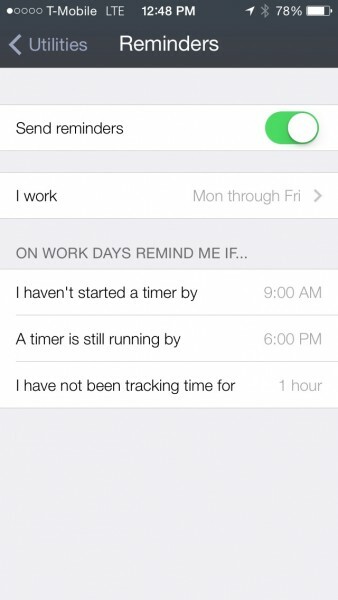 Thankfully, Tapity has thought of this too, so they included Reminders that you can set for whenever you work, or even just every day. These reminders will pop up if you don’t start a timer by a certain time, or if you leave a timer running past a time, or if you have not been tracking for a certain amount of time. These are useful reminders, and should be of some help in remembering to use Hours frequently. Other options in the Settings screen include toggling sounds, hints, time format (12 or 24-hour and whether you want hours & minutes or decimals), and rounding rules (snap to, rounding). While I don’t necessarily need to keep track of my time, I’m going to do it anyway, because Hours Time Tracking is beautiful, simple, and powerful. 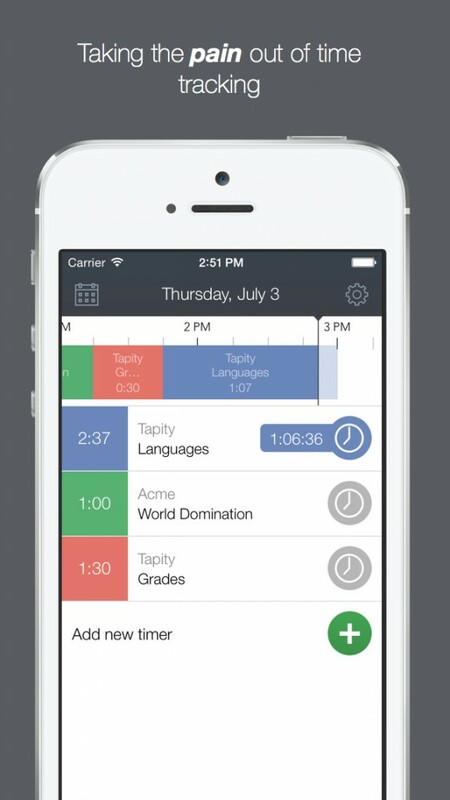 I’m absolutely in love with this stunning app — I’d expect no less from Tapity. 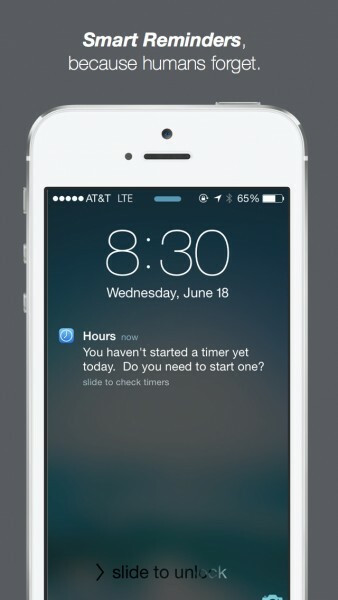 I highly recommend checking out Hours Time Tracking if you are a freelancer, business owner, student, or just someone who wants to know where their time goes. You won’t regret it with Hours. 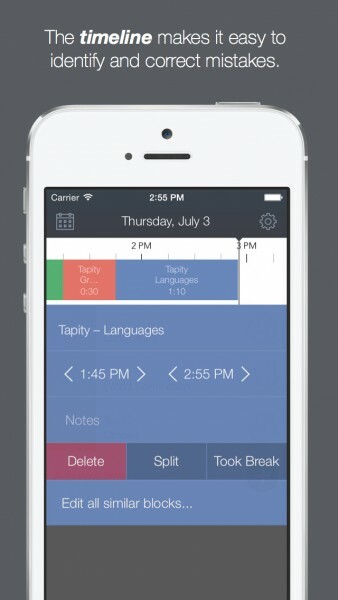 Get Hours Time Tracking on the App Store for the iPhone for $4.99 for a limited time. It is currently 50 percent off for the launch sale.